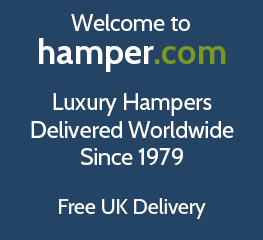 Here at Hamper.com we have put together a delicious range of summer picnic hampers & picnic baskets suitable for gifts whatever the occasion and sure to make a summer afternoon extra special. Our summer food and drink hampers are ideal for a picnic, BBQ, outdoor event, festival or a garden party. Making it easy to enjoy the warmer months with family and friends. You are sure to find the perfect hamper for summer 2018 from our great collection of picnic hampers. Picnic hampers make an ideal gift when visiting family and friends for summer garden parties and BBQ's. Complete with an array of unique and luxurious products, each hamper can be enjoyed with family and friends in the sun. None of our picnic hampers take your fancy? Create your own picnic hamper packed with your favourite food and drink for the perfect family picnic this summer! Summer hampers are a great gift for when you're visiting family and friends, they have something for everyone, from outdoor gifts, to full blown picnic baskets, and other alcoholic treats to be enjoyed on those long summer nights. Clearwater Hampers have such a wide range of summer picnic hampers available, but our most popular include our Refreshing Summer Delights Hamper hamper, filled with freshly squeezed lemonade biscuits, Snowdonia mature cheese, gourmet crackers and honeycomb chocolate bar plus lots more ts to be enjoyed by all on a lovely hot summer's day picnic.